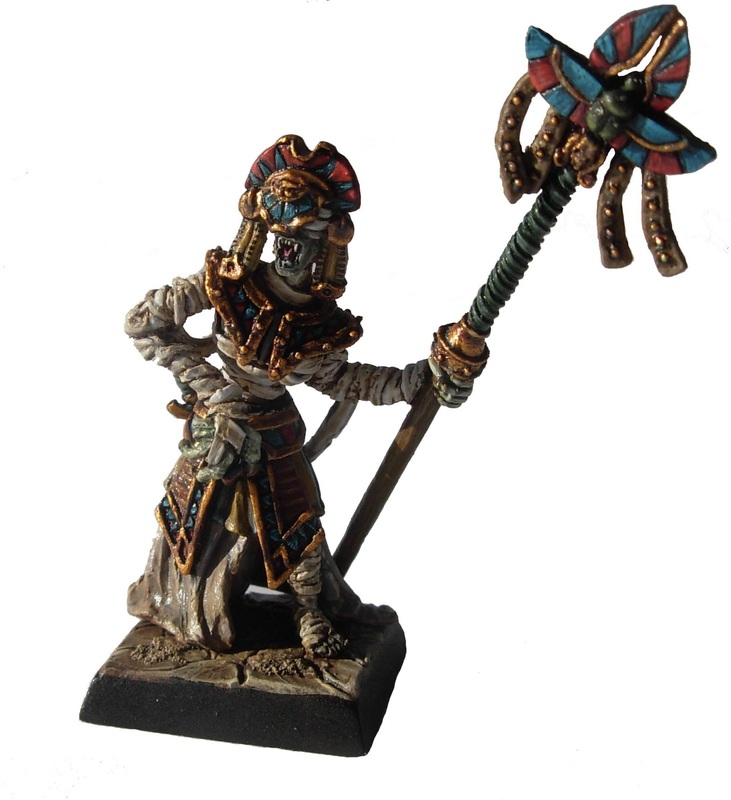 If there is one thing people know about me, it's that I like my Tomb Kings. 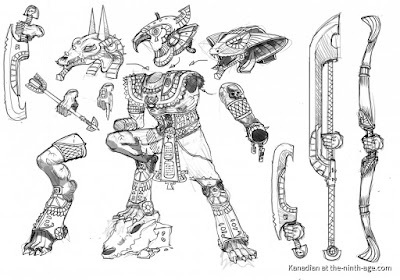 When I saw some of these concepts pop up on a Tomb King forum I knew I had to get in touch with the person creating them. While created with the intent of being used for The Ninth Age, there is nothing stopping anyone from using these models in their AoS armies. With Tomb King models purely available through eBay and other aftermarket sites for the time being, alternative ranges like this are a great way to continue to add to your legions of undying soldiers. Tyler: To start things off, can you tell us a bit about your history in the miniatures and wargaming community? Tabletop Miniature Solutions (TMS): Where to start, over 20 years of hobbying I have done quite a bit. Well as a true hobbyist I have played more games I can remember. From the beginning I was involved in tournament gaming, I did pretty much every thing that one can, I was a TO organizer, judge, participant, sponsor, volunteer, exc. I ran a store, a hobby company, two clubs, been a member of a few others. Had an episode as the ETC team Canada Captain. A few years later as a ETC sponsor as well. I have done most of it... I have yet to make true blog, and a podcast. But I had a few episodes on youtube, and will be returning to that shortly I hope. Really liked doing battle reports over at TWF, I have been on a few WFB forums. Been an advisor for a few miniature games. I have a company doing battle mats and basing accessories. While the newest project I've gotten people involved in, is producing miniatures. Tyler: What drew you to the Ninth Age project? TMS: Honestly just one thing. An amazing community. WFB had by far the best community, filled with so many wonderful people who have done incredible things to make the hobby enjoyable. The podcast, blogs, battle reports, tournament scene, dedicated forums, clubs and so much more. I absolutely love it. Life put me in a position where I could contribute more, and that is whatI'd like to do. Tyler: Out of all of the armies that you could work on you decided to tackle the Undying Dynasty. What made you pick that army in particular to develop models for? TMS: We had to start somewhere, so we decided to go with the voice of the people. We ran a poll on the forum the community answered UD finished first. We will see if this approach pays off. Tyler: So far you have two heroes and some warriors and calvary finished. Can you tell us a bit about them? TMS: We plan on making a kick starter shortly. As we have never offered 28mm fantasy models before, many players were wondering about the quality, design exc. We wanted to release a few models so people can familiarize with our capabilities. The UD book offers three potential lists, a plain UD army. 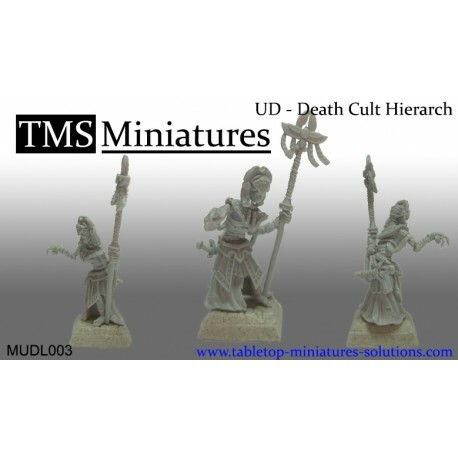 For the Generic UD army is the Pharaoh and Death Cult Hierarch. One of the alternate builds is the barrow legion, a list filled with heavily armoured skeletons. For them we did the Roman legion skeletons. Who didn’t at one point in time admire the Roman legionnaires. So the 9th legion, as we came to call the Roman legionary was made. Tyler: The heroes have a definite Egyptian theme to them, while the other two units have an ancient Roman vibe. Do you plan on pursuing both of these themes going forward? TMS: It depends on how the Kickstarter goes. a. Skeletons in four versions (hand weapon and shields, archers, spears and halberds). b. Praetorians to field Necropolis Guard with all 3 weapon versions. 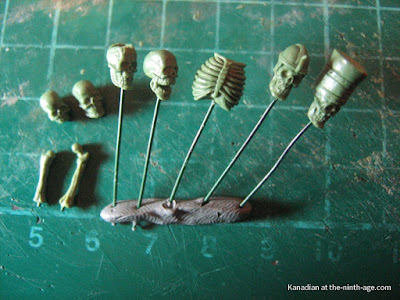 c. Barrow guard bits for conversions. For the regular UD army we will release bits to allow players to convert their current skeletons to have the same style as our main UD line. This will mainly include heads for archers and Necropolis Guard, as well as shields. Tyler: Since Games Workshop has discontinued the Tomb King line there is a definite gap in the market for new models fulfilling a similar theme. What made you pick the Roman look for the warriors and calvary instead? 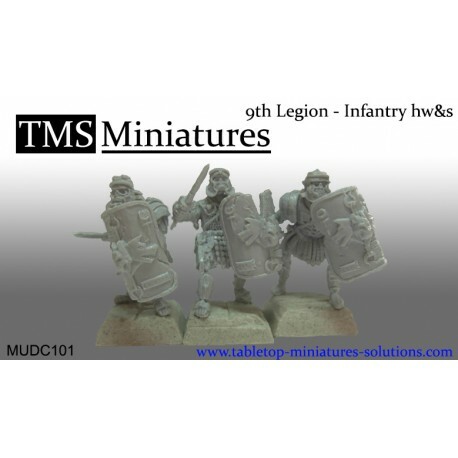 TMS: The Roman them will be present only for the Barrow Guard, the main UD army will be set in an Egyptian setting. As to the Ancient Roman theme the official version is during interviews we had with aspiring sculptors artist and modellers, one of the sculptors presented us with a WIP project. We loved it and hired him to get it done. Unofficially I really, really wanted an undead legion army for my self. But for it to be done I had to agree to share it. Tyler: Having seen your concept artwork for the Shabti it looks like the Egyptian theme will be carried on at least a bit. That concept looks fantastic by the way. Can you talk a bit about that unit in particular? TMS: I'm glad you like it. Most definitely, the Egyptian style will be present for the rest of the UD line. The funny thing is, we were unhappy with the initial Shabti concept. It was redone, and still to us it wasn’t good enough. We were going to scrap it. Upon reflection, we left the choice to the community. Again a poll was made the community’s will will be done. Tyler: Can you tell us a bit about what you have planned in the future for the Undying Dynasties? TMS: Well we are making concepts for the rest of the line. So every unit in the book can be fielded. If it's in the book, we should have something for it. Tyler: To me, one of the iconic units from the Tomb King line were the chariots. Do you have plans to bring out new models for that? TMS: Yes, the Chariots are iconic. And yes, we will be doing models for them. There are some debates as to their final look. At the Company we feel that skeletal horses are not the best way to go for various reasons, And we are looking for other options. Currently were waiting to see the results of our discussions. Tyler: What material can we expect to see these models produced in? TMS: This will be decided when the Kickstarter is finished. Looking at production efficiency and demand. We have our own resin casting line, and as of this week we installed a second. We can do metal, and if the demand is high we would like to see plastic. 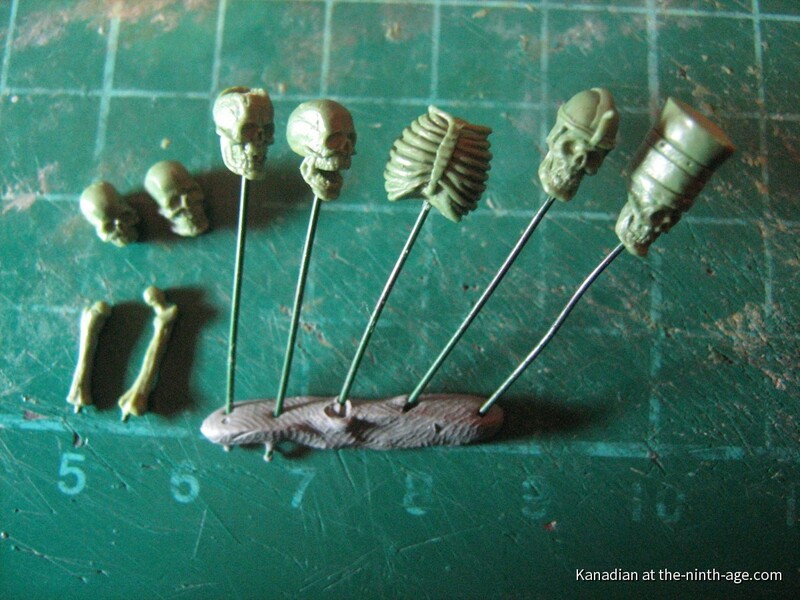 But for the most detailed models we will stick to resin as it offers quality that cant be reached by anything else. Tyler: Are there any plans to produce models for other armies for The Ninth Age? TMS: Sure there are currently 16 armies available for 9th age, as long as there are unreleased models we will have something to do. Also most things will get a second wave, which will include every thing we couldn’t fit in the initial release. TMS: We are fortunate to be working with extremely talented, and dedicated people. Still cant believe that we put together such a fantastic team. That and the support we receive from the community amazes me even more. Making the all the hard work and sacrifices worth while. 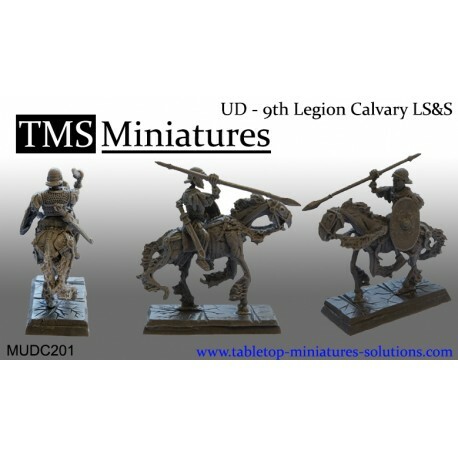 You can find all of their models for the Undying Dynasties as well as all of their other products on the their website here and follow them on their Facebook here. Currently there are only models under the Lords and Heroes and Core sections. Check their Facebook on June 10th for an exclusive promo code good for that day only for a substantial discount.